Mariel Clayton is a self-taught photographer. She got inspiration from a miniature toy shop in Tokyo and began shooting dolls in staged, miniature sets. 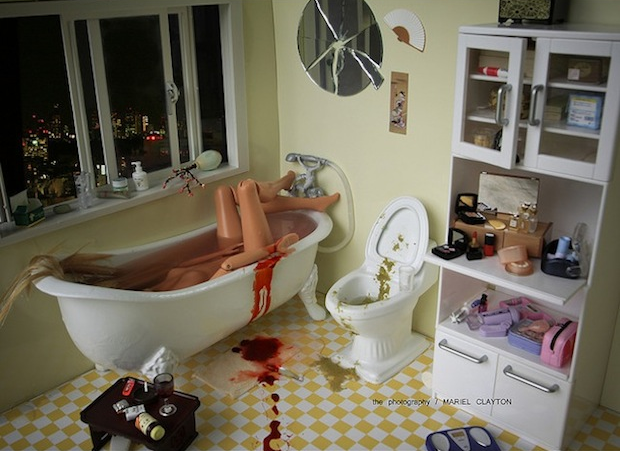 Clayton's photos are unique in the stories they tell of the dark side of Barbie and twisted humor. 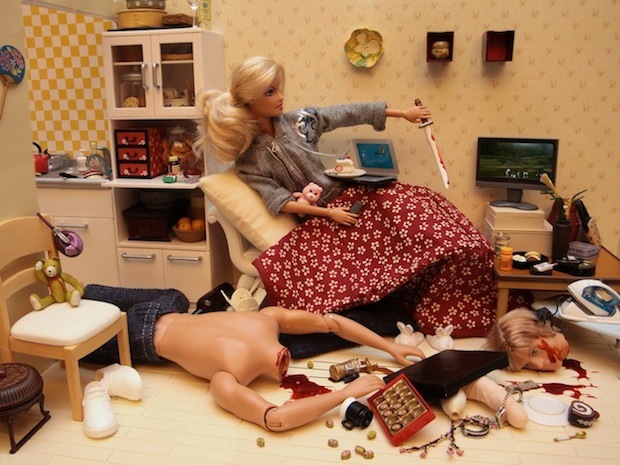 The images are often violent in nature and bite back at the usually sweet and girly doll. Check out more of her stuff at her website. Also found a good interview with Clayton here.